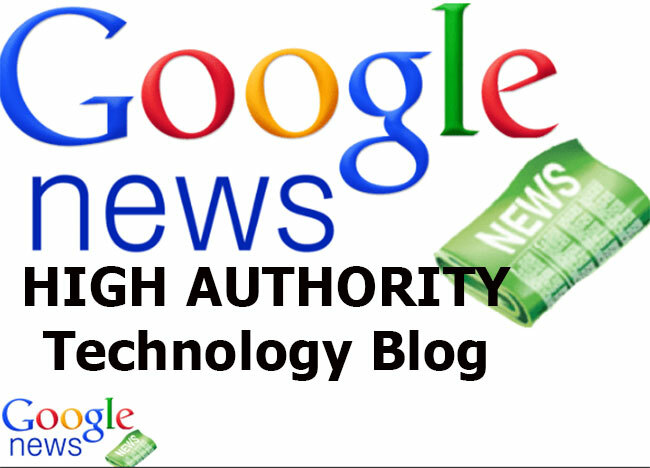 I will publish your press release on our Google News Technology site. Fast index and you get hig authority backlink from our technology site. We will publish technology news everyday. Our site have good backlink and social signals. Our domain 3 years old and have authority on Google. You will get high authority backlink. This backlink increase your site authority on Google, Yahoo and Bing. We make a discounted campaign for press release publishing within these 3 months. Also, we dont accept adult or gambling articles. Please provide readable and semantic press relase for getting maximum performance. Also, you should minimum 400 word article for maximum effect. You can give maximum 3 backlink to your site from your article. 8- Have good backlink profile. We can give our domain name with private message.